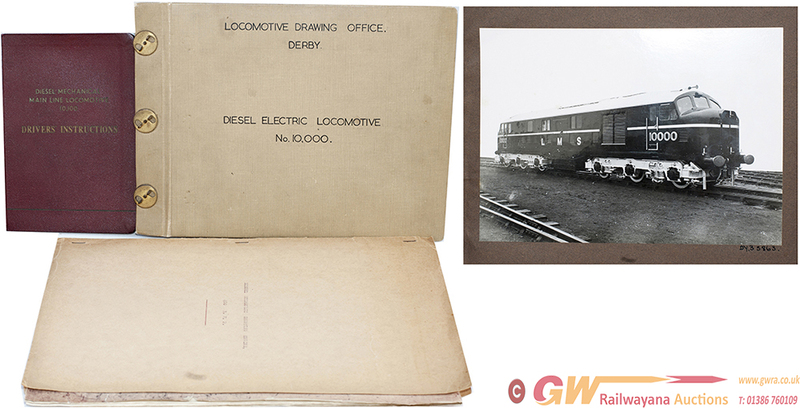 LMS official photos of Diesel Electric No10000, 30 in total, showing building of the loco at Derby. In original hand bound book titled Locomotive Drawing Office Derby. Together with an original Drivers Instruction Booklet for the same loco. Also a book with a photo and blueprint of LMS 0-6-0 Diesel 1831 dated Derby 1932. Also included are some other official photos of LNWR, Midland engines and carriages.